More than 75 million website owners worldwide manage their websites with WordPress but very few of these websites have been optimized for a mobile screen. Slow loading is a major inconvenience for most users. As a website owner it is your responsibility to make sure that your site engages users, and makes them want to revisit it. It is high time that you optimize your WordPress website for small screens like smart phones, tablets, phablets; otherwise, you are going to lose a huge amount of readers, and your online reputation will go down the drain. Having a mobile friendly website is really important for your online presence. Following are 5 ways to make your WordPress Website mobile friendly. It doesn’t matter how your graphics are, your first priority should be to search for a ready-made mobile template for WordPress which is visually appealing and works for you. These templates are meant to save you a lot of time and trouble. This makes your Website accessible and usable for most devices used from the very start. You will find plenty of options in terms of design and graphics but keep in mind that many of these templates are created for a particular kind of business. Let’s face the truth. 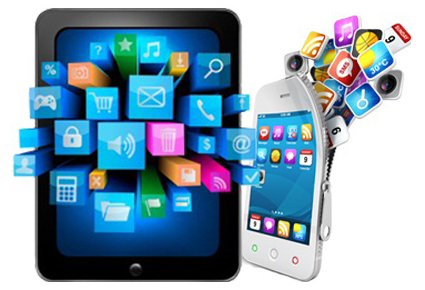 It is impossible for you to go out there and test your website on every kind of mobile device. But thankfully there are different kinds of testing environments which allow you to test your website. Here you will get definite answer which will make it clear whether you have done your job correctly. With XAMPP, you can build a local host mobile testing on your laptop or desktop which run on Windows, Mac OS X, and Linux. You can also go for online tools such as, Google Mobile-Friendly Test Tool. Also check out these 2 awesome posts that Boutros wrote a while back: Top 5 Mobile Website Building Tools and How to Mobilize your Website. It is natural that on mobile devices people are going to swipe the screen with their fingers unlike the computer screen where they flutter around an icon with a mouse. Your navigation for mobile screens needs to be different. Size and placement of navigational elements play a key role and if they are placed correctly users across different mobile devices will have an easy time when they visit your website. It would be highly unwise of you to ignore WPtouch Mobile Plugin since it is used by more than 8.4 million websites globally. This is an excellent plugin for people who are looking for something uncomplicated. Once this plugin is installed it automatically provides a mobile version of your website to your visitors. Various extensions are used by WP Touch Plugin to separate content meant for mobile screens. Also, it has an additional advantage of not making you go through the troublesome coding tasks to get a suitable mobile view. You may get tempted to use a lot of Flash and other graphics to make your website look visually stunning but in the process this will slow down rendering the pages on your website which translates to bad user experience. So when you build the Website you have to strike a fine balance between making it appealing to the eye and performance. Also, keep in mind that the font you are using might not be available for mobile devices and thus the front you chose will be replace by what is available on the device. It is best for you to use Legible and widely used fonts to avoid that kind of risk. In this post I listed 5 ways to Make your WordPress Website Mobile Friendly. If you have anything else to say, please share your opinion in the comments section. Your opinion matters, unless it is a Spam. Joel Cordle is a medical marketer and CEO of Review Leap, who is serious about his online presence. He is active in the social media market to keep himself updated about effective strategies for enhanced online presence. As he enjoys reading and writing about marketing and online reputation management and topics related to reviews, ratings, negative feedback and inspiring customer loyalty. 62 queries in 0.663 seconds.